I recently attended the All-Japan Aikido Demonstration sponsored by the Aikikai Hombu Dojo for perhaps the 20th time. 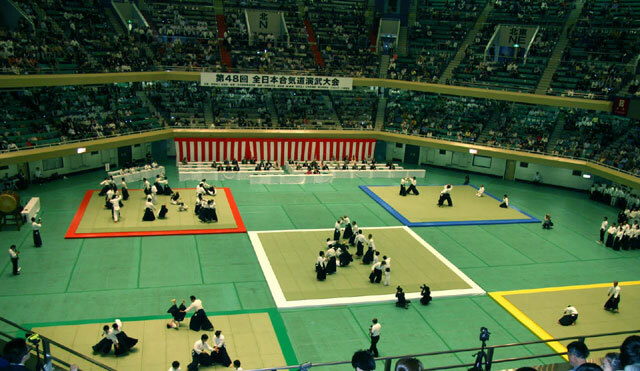 The 1999 event was held on May 22 at the Nippon Budokan in commemoration of the late Aikido Doshu Kisshomaru Ueshiba (1921-1999). There was a huge portrait of Kisshomaru Sensei hanging above a flower display behind the shomen. An impressive sight, indeed, and a constant reminder of his legacy! I think this year’s demonstration was especially important in a psychological sense in that, among many things, it represented a strong show of support for the new Doshu Moriteru Ueshiba. Moriteru Sensei is now 48 years of age and, coincidentally, the same age as his father when he assumed the title of Doshu. For many years now, I have received permission to go down on the floor where the demonstrations take place to shoot pictures from close range for this magazine. It is from this vantage point that I have not only been able to see the numerous performances close up, but also visit with the many teachers and guests who are regularly on hand. It’s always a pleasure to see the same faces year after year and a few new ones as well. I’ll never forget the first time I attended the event in 1973 when it was held at the old Hibiya Hall (Hibiya Kokaido). 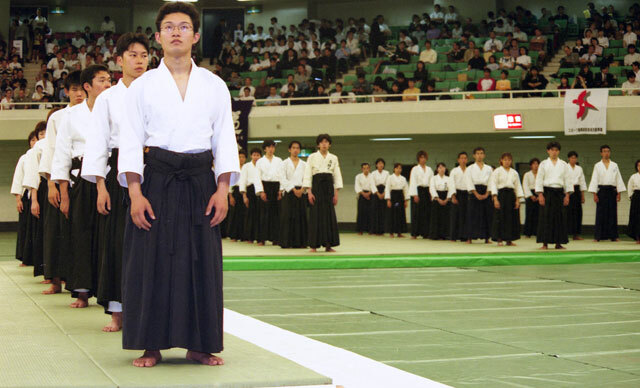 That year’s demonstration turned out to be significant in several regards as it marked the last All-Japan performance by 10th dan Koichi Tohei before his departure from the Aikikai. It was also the last time that Sadateru Arikawa, now 9th dan, gave a public exhibition and, on that occasion, it was a veritable tour de force. I clearly recall—I can indeed say “clearly” because I shot several rolls of 8mm film—a fascinating performance by Mitsugi Saotome who did a scary randori against five or six attackers armed with knives! It was quite breathtaking to watch him duck and dodge while avoiding engaging a single opponent for more than a split second! That year there were also fine demonstrations by several top teachers who have since left us like Kisaburo Osawa, Bansen Tanaka, Seigo Yamaguchi, and the late Doshu Kisshomaru Ueshiba. If I’m not mistaken, Gozo Shioda Sensei of Yoshinkan Aikido was also in the audience. It occurs to me that few people other than the old-timers of the Aikikai will remember the beginnings of this famous event. It all started back on May 5, 1960 when the first All-Japan Demonstration was held at the Yamano Hall in Tokyo. This was of course well before my time, but recently I came across a pamphlet which lists the dates and locations of all of the demonstrations since the inception of the event. Two years later in 1962, the second demonstration was held at the Asahi News Hall, after which the site was moved to the Hibiya Hall. Except for the demonstration of 1969 at the Budokan, the yearly All-Japan Demonstration was held at the Hibiya Hall through 1977. This is an old facilty built about 70 years ago that seats around 2,000 people. Incidentally, the Hibiya Hall was the site of the 1935 Kobudo Demonstration in which Admiral Isamu Takeshita demonstrated Daito-ryu Aikijujutsu techniques as the representative of the Kobukan dojo of Morihei Ueshiba! 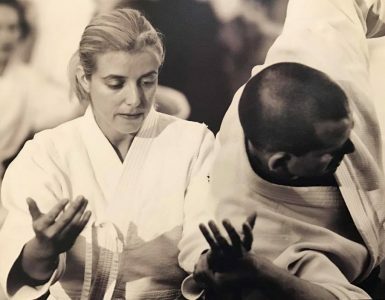 Starting in 1978, the Aikikai event was moved to the Nippon Budokan, the famous martial arts arena in downtown Tokyo that was built in 1964 and served as the site for the Judo competition at the Tokyo Olympics of that year. For those of you who have never seen this magnificent structure, it is octagonal in shape and seats some 14,000 people. The acoustics are excellent, too, and it is also used for concerts. I remember hearing the late John Denver sing there in the early 1980s. The 1978 demonstration was my second one and the first I attended after relocating to Japan. I recall Morihiro Saito Sensei’s thrilling kokyunage demonstration using Shigemi Inagaki and Bruce Klickstein as ukes. Saito Sensei moved with the power of a freight train and Inagaki-san ended up with a separated shoulder on that occasion! I also have a vivid recollection of Hiroshi Isoyama wowing the audience with his spectacular technique which included a finale where he lifts his opponent up over his head before sending him crashing to the mat. Parenthetically, Isoyama Sensei suffered a serious hip injury a number of years ago but is again in top form. We will have a fascinating interview with him in our spring in which he describes how he overcame his injury by devising his own therapy against his doctor’s advice! There have been so many highlights over the years at the All-Japan demonstrations that I will only cite a few which linger fresh in my memory. One would certainly be the sight of late Rinjiro Shirata who year after year would read the poem dedicated to the Founder written by Masahisa Goi of the Byakko Shinkokai. Shirata Sensei would sit erect in seiza and methodically unroll a scroll as he read into a microphone in a loud, ringing voice the beautiful verses in praise of Morihei Ueshiba. Old timers will surely recall the playful demonstrations of Kisaburo Osawa who left us in 1991. Osawa Sensei would execute techniques ever so slowly and then, suddenly when you least expected it, apply a powerful throw with his signature flourish. The soft/hard contrast was very impressive. 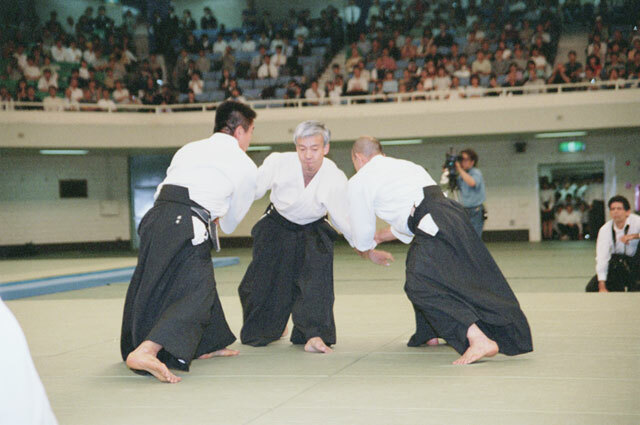 For many years Nobuyuki Watanabe and Masando Sasaki—each of whom evoke great audience enthusiasm—have given demonstrations at the same time on separate mats. The audience’s eyes would dart back and forth in an ultimately futile effort to follow both demonstrations. Watanabe Sensei with his “no touch” demonstration and Sasaki Sensei with his patent “lifting technique” have always been crowd pleasers. Starting this year, each of them demonstated alone on the center mat and it is now possible to focus all of one’s attention on their exciting performances! Ikuo Iimura, 8th dan, is another sensei whose performances never fail to evoke strong audience response. Iimura Sensei appears with a large entourage and gives a vigorous demonstration which includes swords, spears, wooden bayonets, and even a handerchief! His finale is always a randori where he is attacked by six or seven opponents who are sent flying in all directions. Another inspiring sight is the explosive performance given each year by 9th dan Hiroshi Tada. Here is a sensei in his early 70s who looks and moves like someone 30 years younger. 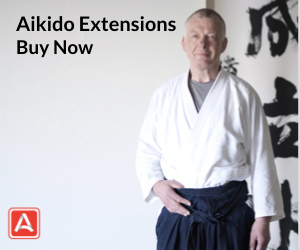 One of the most interesting things about the All-Japan demonstrations is that you can see an entire range of aikidoka from hobbyists to the world’s finest teachers in a single venue, in a single afternoon. It’s tempting to criticize some of the poorer performances—even by higher-ranking people—but the All-Japan event is a microcosm reflecting the state of society at large. There will always be those whose involvement is casual, while others push the envelope of possibility to attain high levels of excellence. It is these individuals who make the event really worthwhile through their fine examples. There is another facet to the annual All-Japan demonstrations worthy of mention. That is the mood of fellowship and celebration that always permeates the event. The All-Japan demonstrations combine aspects of a class reunion, stage performance, track and field meet, and fair all rolled into one! Some of the teachers have their own followings who sit in the same location year after year cheering on their favorites! 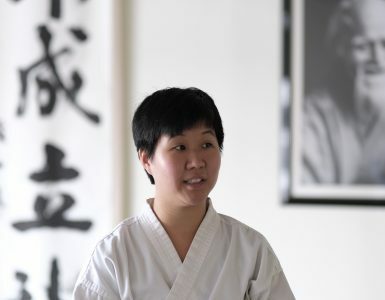 Over the years, a number of celebrities have appeared giving demonstrations such as the lovely and talented Kaoru Yumi—let’s bring her back!—, the famous cartoonist Sunao Hari, and action star Steven Seagal come to mind. Former Prime Minister Toshio Kaifu has shown up on many occasions including this year’s event with a rousing speech to encourage the participants. 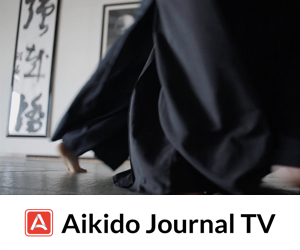 In recent years there has been increased participation by foreign aikido practitioners. 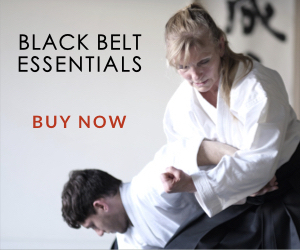 I heartily support this trend given the huge international success of aikido. There were, I’m sure, literally hundreds of young and some not-so-young aikidoka from scores of countries. The contingent of Katsuaki Asai from Germany alone numbered more than 90! I think it safe to say that the skill level in Japan and the more developed countries is now at a comparable level given the fact that the art has been practiced for more than 40 years in many nations. All of this being said, the main focus of the event is on the Doshu. In O-Sensei’s time, his presence was largely symbolic. He would give a brief speech to open the event and then retire to a back room before reappearing for the finale. During the Second Doshu’s active years, Kisshomaru Sensei would give a lecture demonstration in which he articulated his vision of aikido with an emphasis on the importance of center and the circular nature of aikido movements. The present Doshu’s approach is by comparison short on words. Instead, he lets his techniques speak volumes. He is among the best I have ever seen at suwariwaza. 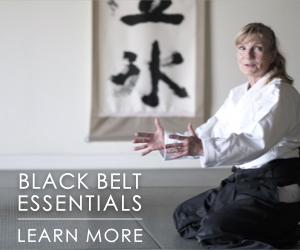 Moriteru Sensei’s demonstrations are always precise, quick-paced, and beautiful to watch. There is no doubt that his skills will continue to mature with each passing year. I look very much forward to next year’s demonstration. That will be number 38 and the first of the new millenium!